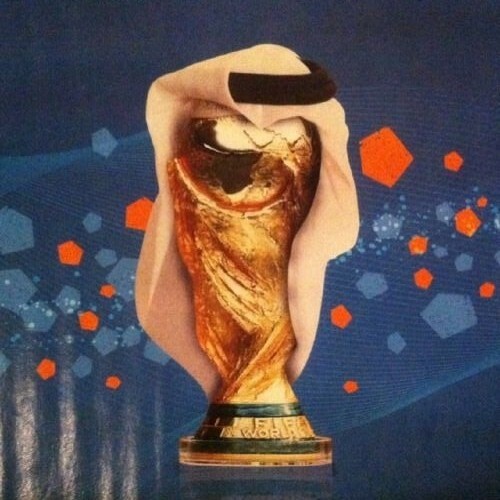 Signs are looking ominous for Qatar and their desire to host the 2022 World Cup. To strip them of this would be a major source of embarrassment for FIFA and, obviously, Qatar. It could only happen in an extreme set of circumstances, which we may be approaching now. Blatter, who by now should be utterly desperate and in severe fear for his position if there is any justice in the world, may use robbing Qatar of their right to host the WC as a kind of diversion, I fear: desperate times (for Blatter) may call for desperate measures. So, were the unthinkable to happen what should Qatar do? I would heartily advise the Qatari elite to take the high road. Eschew the grubby practices of litigation and libel courts which would surely be one possible recourse. Instead, in a dignified manner, say that they profoundly reject any and all suggestions of impropriety and that FIFA is clearly in desperate need of wholesale changes, just as happened to the International Olympic Committee. The elite ought to note that they will continue to improve Qatar’s infrastructure but that, say, the £30billion that would have been spent directly on the stadia etc will now be used to boost the Marshall Plan for the post-revolutionary Arab States. This would be a remarkable gesture for Qatar (given that they are mooting spending $10billion already on this plan) and would draw praise and kudos by the bucket-load.